6 that was organized in the capital. 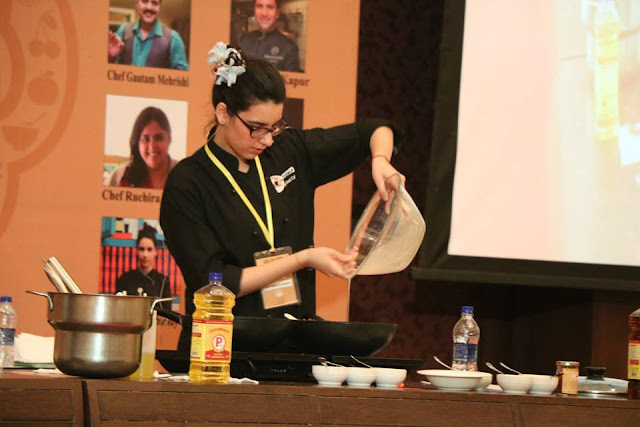 It is an event that witnessed the presence of crème de la of the food industry with the Food for Thought Fest. The fest celebrated the diverse culinary heritage of South Asian region. 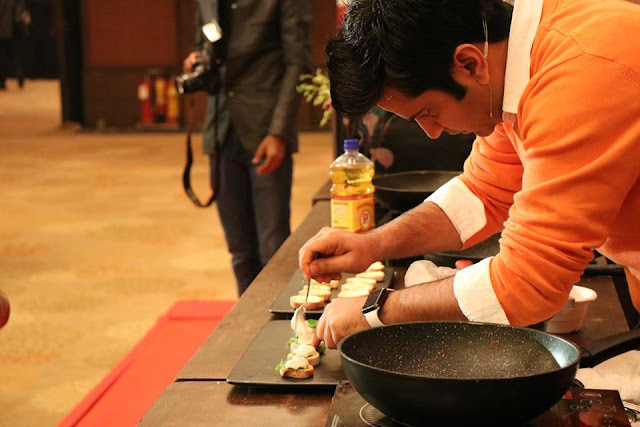 The fest also saw the participation of the chefs who have transformed the cooking in India. A special one of a kind initiative that focuses on the common heritage and history of the South Asian region, as well as the unique influences that are a part of it, it has set a benchmark as the forum for conversations, cuisines and the exchange of ideas and philosophies. The participating countries will include India, Bhutan, Afghanistan, Bangladesh, Sri Lanka and Nepal. 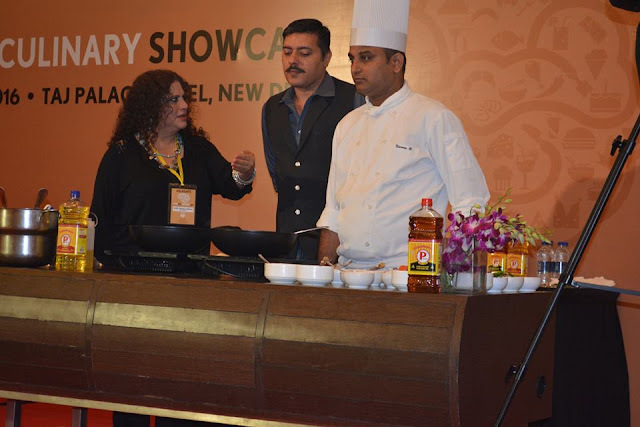 Puri Oil Mills the leaders in mustard oil production in India were a part of the event. All the chefs used P Mark oil for their cook offs in the 2016 edition of the Food for Thought Fest. In the fest there were talks and discussions around various cultures and cuisines. P Mark being the pioneers in mustard oil was used in all the cooking as there is no oil better than mustard oil for cooking in south Asian region. The fest saw the presence of celebrity Chef Kunal Kapoor, Chef Amrita Raichand, Chef Aditya Bal, Chef Gautam Mehrishi, VirenderSehwag, Shweta Bachchan Nanda. Puri Oil Mills Limited, a trailblazer in the mustard oil segment, manufacturing and marketing the ever popular brand: P Mark Mustard Oil. Puri Oil Mills Limited is guided by a vision to be acknowledged as “the last word in mustard”. The brand along with many other innovative variants is marketed across Jammu & Kashmir, Himachal Pradesh, Haryana, Uttar Pradesh, Punjab, Uttarakhand, Delhi & the National Capital Region, Bihar and Orissa. Over the years, Puri Oil Mills Limited has leveraged a well-balanced blend of indigenous manufacturing methods and contemporary marketing practices to gain a distinctive edge in the marketplace and a leading position in the mustard oil segment.